James Ginou, a prolific political fundraiser and PC insider, will head up the board during a crucial time in the site's redevelopment. He previously held the job from 1997 to 2003. The previous Liberal government was planning a massive public park for Ontario Place. The province's current government, however, says it wants the site to be a "world-class" entertainment attraction. 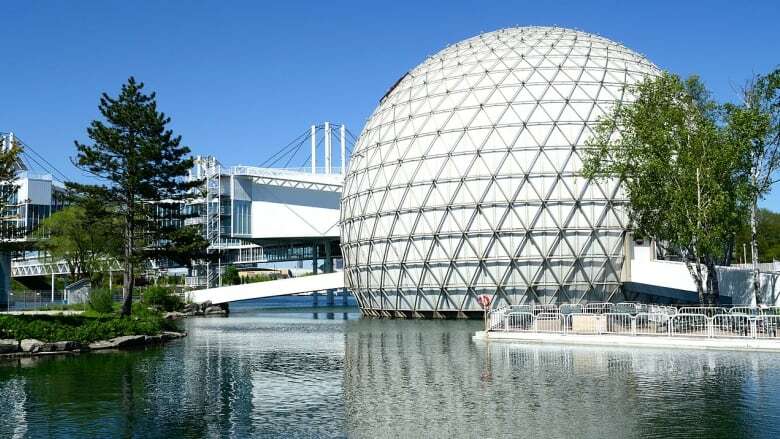 Advocates and the province's Official Opposition are raising concerns about the instalment of a political ally and personal acquaintance of Premier Doug Ford to chair the board of Ontario Place as it prepares for a major redevelopment. Toronto businessman and prolific political fundraiser James Ginou was appointed to the position in mid-December, according to a cabinet order posted online. He previously served in the same job from 1997 to 2003. 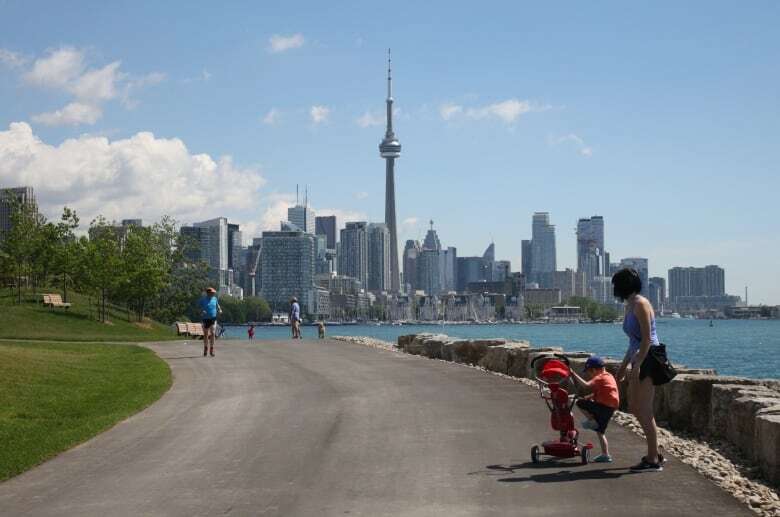 He steps into the role as Queen's Park weighs a significant makeover of the publicly-owned waterfront real estate in west Toronto. Ford himself has previously floated several controversial possibilities for Toronto's waterfront. During his term as a city councillor he supported a plan to build a casino in the vicinity of Ontario Place and among other things, a ferris wheel in the Portlands— a proposal that met fierce grassroots opposition from local groups. In other comments to media, Ford has spoken about the possibility of a mega mall. For his part, Ginou raised some eyebrows this week with comments he made in an interview with the politics news site QP Briefing. He reportedly told the outlet that the current state of Ontario Place is "disgraceful" and that there is "nothing that can be saved." "Because [Ontario Place] has to be rebuilt, it can be rebuilt in any way that Ford wants it to be rebuilt," he said. During an interview Monday on Metro Morning, Ontario finance minister Vic Fedeli confirmed that the PC government would consider any and all options for the future of the site. "I've said it before and I'll say it again: everything's on the table," Fedeli said. "Let's look at it, let's not have any closed doors." 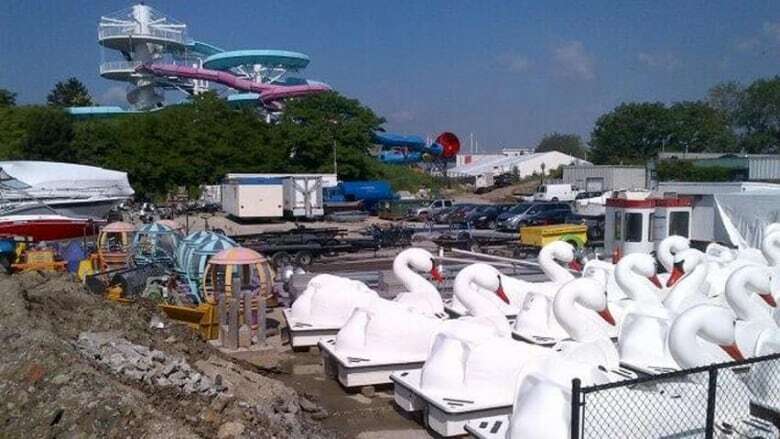 Fedeli did not say if there are any specific plans for Ontario Place yet, but that his government would like to pursue "something fresh and innovative." The quotes by Ginou unnerved Suzanne Kavanagh, one of the directors of the advocacy group Waterfront For All. The non-profit is a coalition of some 30 community organizations that promotes public access to the city's waterfront. Kavanagh called the comments "disappointing" and pointed to the revamped Trillium Park and recently opened Bill Davis Trail as examples of how the park's redevelopment is partially underway. Davis was premier of Ontario when Ontario Place opened in 1971. "We don't need to start from ground zero. There are some very renewable parts that we can continue to use as we decide what the new Ontario Place will look like," she said. Kavanagh added that the newly restored Cinesphere and an outdoor music venue continue to draw a considerable number of visitors. Waterfront For All was already planning a rally in support of giving the public a voice in Ontario Place's development before Ginou's comments were published online. Kavanagh said organizers had to switch venues after an unexpectedly enthusiastic response from people hoping to attend the demonstration. Several Toronto city councillors who were vocal opponents of Ford's casino plan have committed to making appearances at the event next Saturday. The group has invited Ginou and Michael Tibollo, minister of tourism, culture and sport, to attend the rally. Waterfront For All is not opposed to economic development, Kavanagh said, but a consultative process will be essential to the success of the redevelopment. "We only have one water's edge, and we want to make sure that we are accessing that public resource. And it's a very rare public resource." The Progressive Conservative government has not revealed its plan for the property. In an interview with CBC Radio's Metro Morning last year, Finance Minister Vic Fedeli said that "nothing's off the table" but suggested the government is not rushing into any decisions. "We're going to spend a considerable amount of time looking at what we can do there to make best use of that jewel," Fedeli said. The province has signalled, however, that it wants a greater degree of control over the site's future. Included in fall economic legislation were clauses dissolving the corporation and public board overseeing management of Ontario Place. It also ordered the board to begin preparing to transfer control of all the assets at the site directly to the province. At the time, NDP Leader Andrea Horwath warned that the PCs may be planning to sell Ontario Place to private interests. NDP MPP Chris Glover echoed that concern this weekend, saying that Ginou's appointment is another step toward handing the premier more influence over the imminent redevelopment. Ginou began fundraising for conservative politicians in the 1980s, and said in a 2013 interview that he's likely raised hundreds of millions of dollars in that time. 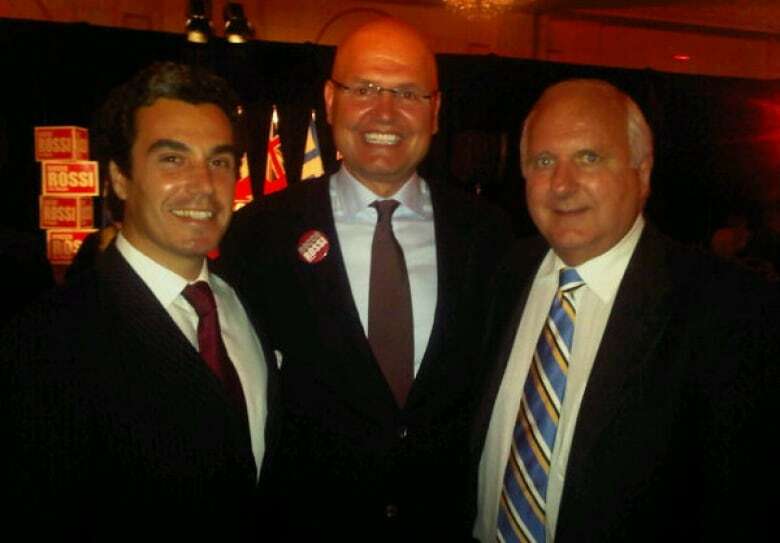 He was a staunch defender of former Toronto mayor Rob Ford, and has deep ties to some of Ontario's most recognizable Tories. When reached for comment by CBC Toronto, Ginou said he was unable to speak because he was attending a family funeral. He did not respond to a follow up request before time of publication. Glover said Ginou's appointment is part of a troubling trend of Ford trying to expand his sphere of influence in Toronto. "He is trying to build a little fiefdom, to do whatever he wants with what is essentially public property," Glover, who represents Spadina-Fort York, said. "This is not Doug Ford's private property. Ontario Place belongs to the people of Ontario who bought and paid for it. And any decision that needs to be made about this place should be made in consultation with the people of Ontario," he continued. In a statement, a spokesperson for Tibollo pointed to Ginou's previous stint on the board as evidence of his fitness for the job. "Based on his past experience, and his knowledge of the Ontario Place site, we know that he will serve the people of Ontario well in his new capacity as member and the designated chair of the board," said Brett Weltman. "We look forward to working with Mr. Ginou as we move forward with our plan to turn Ontario Place into a spectacular world-class destination." A previous version of this story stated that Premier Doug Ford had supported a plan to build a casino and ferris wheel at Ontario Place. In fact, the proposal would have seen those entities built on the Port Lands.